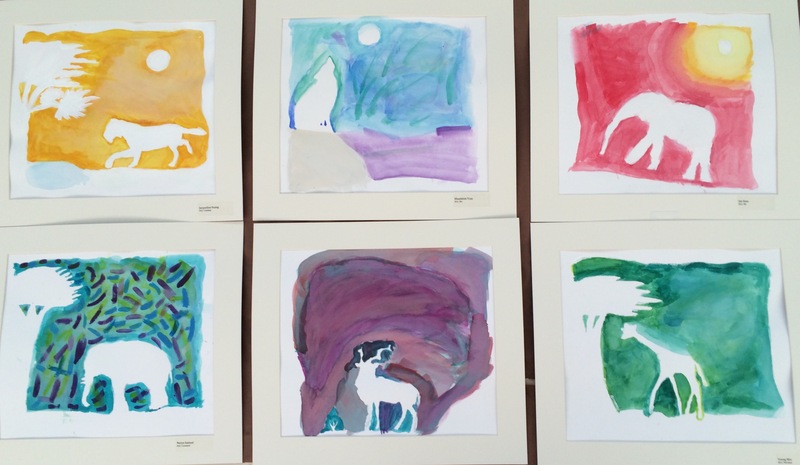 Last month, lower school art teacher Jaja Hsuan’s students were busy with a variety of fascinating projects. In early October, her kindergarten students studied the works of Russian artist Wassily Kandinsky and created pieces that displayed dots contained in concentric circles, using different emotions to guide their color choices. Weeks later, to celebrate Halloween, they expanded on their learning about colors and emotion to create a series of expressive, and frequently funny, pumpkin faces using paint and construction paper. Hsuan’s grade 3 students spent much of October putting ideas in sketchbooks, which they later used to create landscapes inspired by visions of Africa. They then created animals for their scenes by tracing their shapes and reverse-rubbing them onto watercolor paper. Environmental elements such as trees and clouds were also added. Finally, the students painted in the backgrounds using a variety of colors. The resulting artwork was displayed in the lower school’s front office and gym lobby.